1) We are searching the key in the array. 2) Read the array length and store the value into the variable len, read the elements using the Scanner class method and store the elements into the array array. 3) Read the key value and search for that key in the array. for i = 0 to i < length of the array. compare array[i] with the key, If any one of the elements of an array is equal to the key then print the key and position of the key. 1 doesn't exist in array. 1) Read the array length len, store array elements in to the array array using Scanner class method. 2) Read the key value and call recursionSearch(array,0,len-1,key) of RecursionExample3 class. returns -1 value if last<start. Compare the element at the index “start” of the array with the key, if both are equal, returns the index value. if key not equal to the that element call recursionSerach(arr,start+1,last,x) by increasing the start value. 4) This method returns the index value. If index !=-1, then prints key is found at the location index+1 otherwise, prints “key not available”. 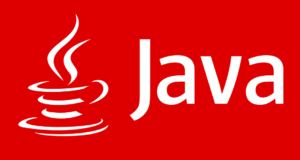 If you have any doubts related to Linear search Java program, leave a comment here.